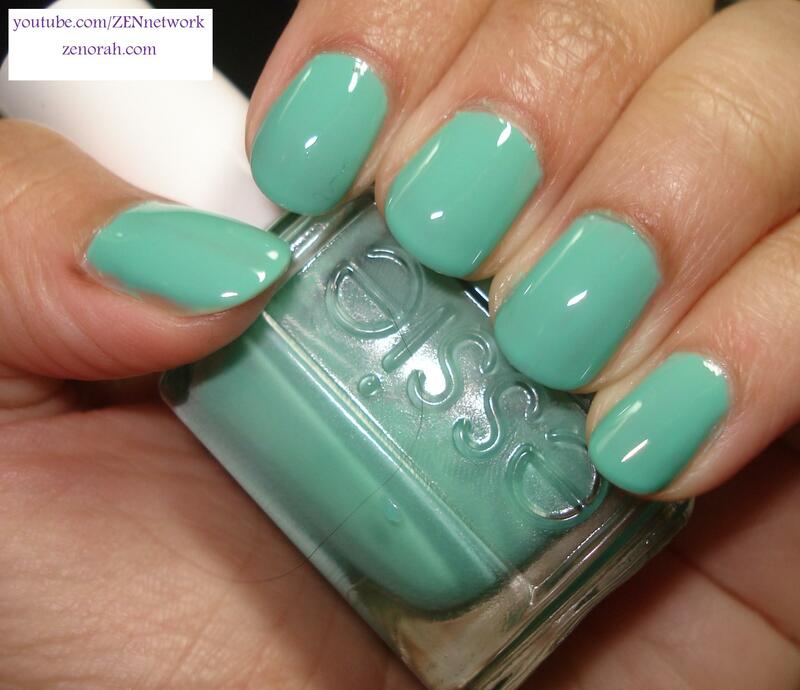 Essie Turquoise and Caicos – is beautiful combination of a sea foam green and tiffany blue in a creme/semi jelly polish. This polish was released in Essie Resort 2010 and it holds a special place in my heart because it was the polish that started my love affair with the Essie brand. I always overlooked Essie but I was drawn to this colour and needless to say – Essie is one of favourite nail polish brands to date! Last summer I wore the heck out of this polish, not so much this year because I wanted to use some of my more neglected polishes this summer but I can’t let the summer end without show casing it on my blog! It is a a gorgeous shade that will look good on everyone and every time I wear it someone always stops me and asks me what it is I’m wearing. I know at this point this isn’t a unique colour – often people say China Glaze For Audrey is a dupe (I have both and will be doing a dupe comparison in a future blog post) but this one is so much better in my opinion. It took three coats of polish to achieve an opaque manicure but the lasting power is out of this world! I have worn it (in the past) for about a week and a half and saw very little chipping and tip wear. For me, Essie is the only nail polish brand that gives me the longest lasting manicure (even in their darker shades). I know they have a reputation of making a million baby pinks and sheer polishes but I actually kind of like that and I am beginning to think that perhaps this is their strength rather than weakness. I have noticed that when I apply thin coats of their polishes it lasts a really long time on my nails, when I use OPI or Zoya (2 coater manicure) it chips quicker, faster and with OPI I get tip wear the next day NO KIDDING!! Thankfully, this shade is a permanent shade so fear not you can find yours at your local beauty salon! Do you own Essie Turquoise and Caicos? What are your thoughts on this nail polish? Zenorah- This began my love affair with Essie too! Actually, it also began my obsession with trying new colors outside of pinks corals and oranges which are all my favorites. I think this is the perfect feminine blue, Nice post.